Job Opening: Instructor, Japanese Language, Ohio University | What can I do with a B.A. in Japanese Studies? Instructor, Japanese Language, for Ohio University. Instruct Japanese language and culture courses, teaching how to speak and write Japanese and the cultural aspects of Japan. Participate in curriculum development. Assist Program Director in mentoring graduate Teaching Assistants. Assist in teaching Japanese language and culture in a variety of educational settings within and outside the language classroom. Support the Japanese Student Association’s mission to foster good will and understanding between Japan and the OU/Athens community. 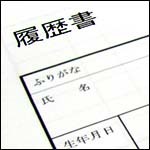 Minimum of a Master of Arts degree in Linguistics, or a closely-related field, to include pedagogical training in Japanese language instruction techniques and teaching materials development. Minimum of 24 months of relevant experience is required (may be gained concurrent with education). Requires fluency in Japanese. See original posting on HigherEdJobs.com for full information and application. This entry was posted in announcements, job openings, jobs and tagged Athens, curriculum, higher education, instructor, Japanese language, job opening, linguistics, Ohio, Ohio University. Bookmark the permalink.